Used in the ceramics and chemical industries, it is also, increasingly, being used in the manufacture of high strength alloy. High Titanium Resources and Technology Limited (“HTL”), formerly Queensland Industrial Minerals Ltd (“QIM”), is a public company established on 31st October 2002 for the purpose of developing a mineralised area known as “Wateranga” under Exploration Permit Minerals (“EPM”) 13278. The Wateranga area contains significant quantities of high quality Ilmenite, Feldspar, Apatite and Zircon in an eluvial style deposit (unconsolidated) surrounding the “Wateranga gabbro”. The Gabbro is approximately 5km wide by 6km long and is characterised by an outcrop some 1.6km long, 600m wide and 120m high. HTL develops steadily since the establishment of the company. Creating long-term shareholder value is always HTL’s priority. We are committed to working in ways that are consistent with our values of integrity, performance and teamwork. HTL board members believe that as Wateranga project will gradually move into production stage from 2016-2017 financial year, HTL will become emerging force in industrial minerals industry, with supplying Australian and International market ample amount of high quality industrial minerals in the following 30 to 40 years. Meanwhile to accomplish HTL’s ultimate mission that is to output long-term values to shareholders, employees and local communities. Bringing the project into full production. HTL is entering into production stage and currently undertaking all necessary preparation works. To achieve optimal outcomes from the Wateranga Project, HTL is establishing comprehensive cooperation with industrial leading advisors such as TZMI. HTL believes that maintaining good communication with the industry will contribute to the success of our commissioning and benefit the company in a long run. The government has committed $10 million to the construction of a multi-use conveyer at the Port of Bundaberg – which is the port that HTL will use for stockpiling & shipment of mineral products. The new conveyer will connect stockpile area and ship loading area. It is believed the new conveyer could greatly save loading time and cost for shipment. HTL AGM 2018 has concluded on 29 March 2019. The Consolidated Financial Statement with audit report was circulated to all attendees before the commencement of the AGM. If you are shareholders of HTL and you did not attend the AGM, please contact us by email: echen@htl.net.au to obtain a copy of the report. Minutes of the meeting is also available upon request. HTL has received draft Investment Framework Agreement from a resource company listed in Hong Kong. According to the agreement, its subsidiary fund company will provide funding into development & construction of Wateranga Project, meanwhile to complete HTL’s listing in Hong Kong. The concrete work is in progress. It has been confirmed in a teleconference meeting with Port of Bundaberg that HTL could use vessel with minimum capacity of 25,000 ton for ilmenite shipment due to improved port facilities. HTL has lodged Plan of Operations(PoO) for Mining Lease 80116 of Wateranga Project. A plan of operations provides details about how we intend to meet environmental authority (EA) conditions, including rehabilitation requirements. HTL had a meeting with The Department of State Development (DSD) and North Burnett Regional Council (NBRC) respectively along with HTL’s business partners during our site visit between 19 and 22 July 2018. The purpose of the meetings is to give updates about HTL’s next-step development plan of Wateranga Project. As a shovel ready mining project within the region, HTL is planning to employ 50 staff and workers from regional area for the stage 1 of Wateranga Project. HTL believes this project will bring long-term prosperity to the region and communities, and HTL will continue to build more connections with local communities through this flagship project. The board of HTL has advised the commencement of preparation works before disturbance of central Wateranga Project, as known as ML80116 area. Key documents including Risk Management System, Water Management Plan and Plan of Operation are undertaken respectively. Those works are expected to be finalised within one month time. Recently, the world’s major titanium raw material producers have announced the production and operation in 2018, and made preliminary predictions on the market in 2019. After reviewing the reports of several companies, it was found that each company basically showed similar conditions, and this is also the general trend of the development of titanium raw materials market in 2018 & 2019. In 2018, the output of major titanium raw material companies in the world has not increased, and the output of many producers has declined for various reasons. Among them, several companies have experienced the end of the mine life cycle. 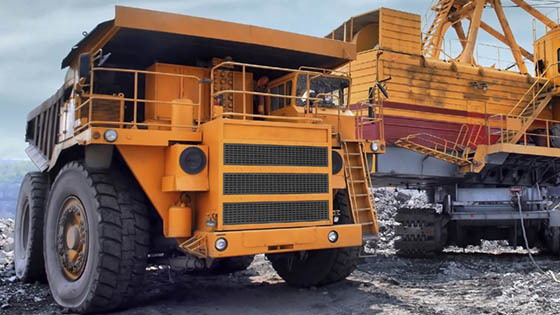 With the decrease of remaining reserves and rich ore content, the output of some mines in 2019 will continue to decline. The development of new mines and the extension of existing mines are still in progress, but it is impossible to compensate for the decline of production in 2019, which in turn will affect the global supply of titanium raw materials. Ruidao believes that the high total imports of titanium concentrate in China in 2018 mainly reply on the low-quality titanium concentrate and middlings, and the supply of high-quality titanium concentrate and rutile is still relatively small. At present, the domestic market has initially reflected the trend of differentiation. It has shown that demand for high-grade raw materials is robust with firm prices and even rising. On contrast, low-quality raw materials are under sales pressure with slow sales and poor prices. Ruidao believes that this situation will continue or even further intensify in 2019. Copyright © 2016 High Titanium Resources and Technology Limited. All rights reserved.